At Kingstowne Carpet, your imported and domestic rugs are treated to a thorough yet gentle cleaning in our fully equipped rug cleaning plant and returned to you - clean and dry - in one week or less! Our cleaning solution is safe for toddlers, children and pets and our method allows your rugs to dry rapidly with no soapy residue. You will enjoy the visual difference that our process makes as well as the health benefits of eliminating the dirt, stains and allergens which accumulate over time. 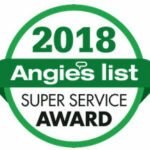 Please check our reviews on Yelp and Angie's List or call (703) 298-1446 to learn more about our expert rug repair services! Our phone estimates are 100% accurate with no hidden charges and we always arrive at our appointments on time! We are picking up rugs for cleaning every day and our turnaround time is one week or less! As a courtesy to the storefront, we cannot publish their address here. Please call or text 703-298-1446 for pricing and drop location details. We also offer expert rug repair and rug re-fringing! Content copyright 2019. Kingstowne Carpet and Rug Cleaning. All rights reserved.